A music literary evening under the patronage of Archbishop Mgr Charles J. Scicluna is being held at the Tarxien parish church today, at 7pm, on the occasion of its 425th anniversary and also the parish’s recent elevation to archparish. 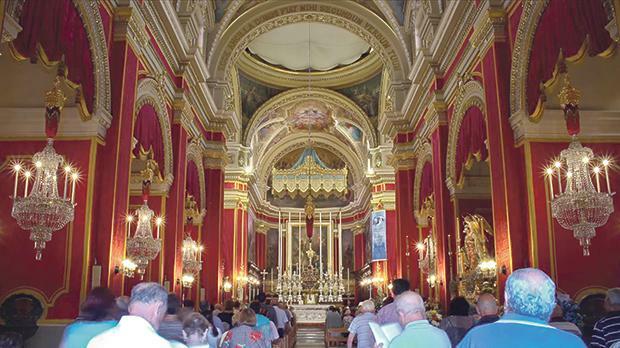 The Tarxien parish was established on May 29, 1592, and is dedicated to the Annunciation of Mary. On June 29, 2017, Archbishop Scicluna elevated it to archparish. The elevation decree is to be read out in public, for the first time today. The evening, focusing on the theme, ‘Blessed is she who has Believed’, will start with the hymn Fil-Milja tas-Sekli: Ave Maria Lourdes. The hymn was written by Archbishop Scicluna in 2013, at the invitation of the Tarxien Għaqda Mużikali Marija Annunzjata. It is based on the traditional Pyrinei melody known as the Ave Maria of Lourdes. Its music was composed by Mro Hermann Farrugia Frantz, the director of the Coro Bel Canto and its orchestra, the performers of the musical programme of the occasion, with the participation of Tenor Charles Vella Zarb and Baritone Albert Buttigieg. The evening includes compositions by Mro Farrugia Frantz, Francesco Azopardi, Hans Leo Hassler, Jacques Arcadelt, Joseph Vella and Giuseppe Camilleri. The occasion will also include the reading of Marian poems written by national poet Dun Karm Psaila, Fr Frans Camilleri and Kelinu Cachia.